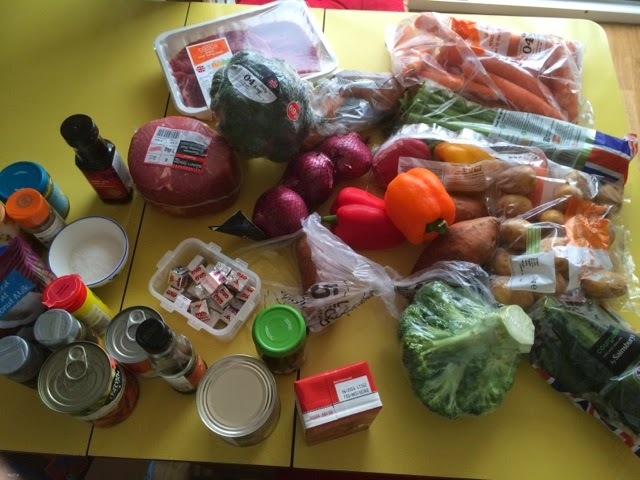 Up early this morning to get the lamb in the slow cooker ready to slice and freeze. 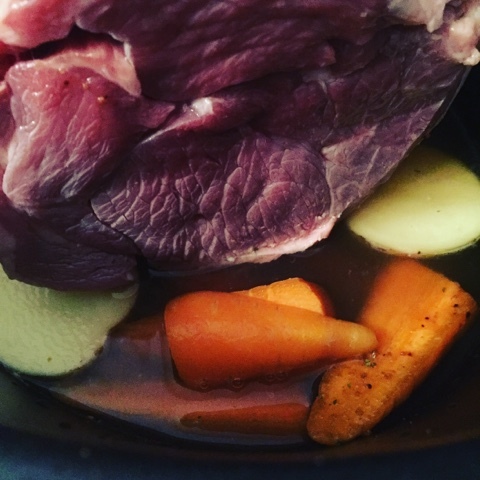 Large leg of lamb is resting on handful of Chardonnay carrots, sliced potatoes, vegetable stock & garlic seasoning. Cooked for 10 hours on low. I also cooked a beef brisket in the slow cooker. 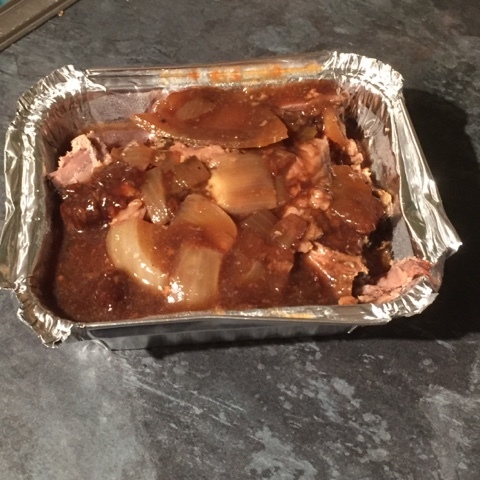 I added 1 sliced onion, tbsp Worcester sauce & stock cube and cooked for 10 hours. The finished result of the beef brisket. Meat all cut, gravy poured over and portioned. I made three of these and each one serves two adults. These cook from frozen at a medium heat for approximately 45 minutes.